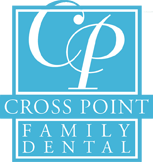 Crosspoint Family Dental offers full, comprehensive dental services including extractions in the Chelmsford, MA area. There are many reasons why a tooth may need to be extracted. This may include severe decay, advanced periodontal disease or have broken in a way that the tooth cannot be repaired. Teeth may also need be to extracted because of impaction or in preparation of orthodontic treatment. During your visit at Crosspoint Family Dental, one of our experienced dentists will discuss the alternatives to extractions as well as the replacement of the extracted tooth. When it is determined that a tooth needs to be removed, the dentist will take an x-ray. Based on the difficulty of extraction, we may refer you to an oral surgeon. Once a tooth has been removed, neighboring teeth may shift. This might cause problems with chewing or with your jaw joint. In order to prevent this, we may recommend replacing the tooth. At the time of extraction, we will need to numb your tooth, jawbone and the gums that surround the area with a local anesthetic. Once the extraction begins, you may feel pressure. This pressure is from the process of rocking the tooth to widen the socket for removal. Some teeth require sectioning, a common procedure. This is done when a tooth is firmly anchored in its socket or the root is curved and the socket can’t be expanded. A doctor will cut the tooth into sections, removing each section at a time. Crosspoint Family Dental is located at 850 Chelmsford Street in Lowell, MA. We can be reached at (978) 459-6467 for appointments and information regarding extractions in the Chelmsford, MA area.